Way back when, Disney were shopping around for people to make the next generation of Star Wars games. When conducting talks with EA, they suggested that DICE were a great fit for a new Battlefront game. Their suggestion led to the game that will release at the end of this year, but in another timeline it won’t happen, since DICE almost turned the opportunity down. If you can’t wait for Battlefront, try one of the best Star Wars PC games that you can play right now. 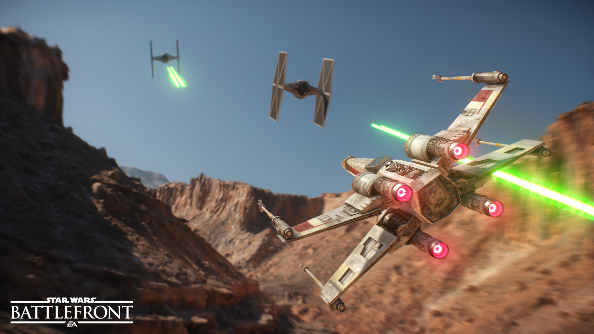 Thanks to DICE making the right decision, we’ll be able to play the Star Wars Battlefront beta from October 8th. The full game will be available from November 17th.